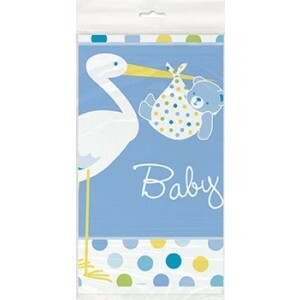 This cute stork table cover measures 54inx84in. It is blue with polka dots and is decorated with the stork design. This range is new to Babies Babies.